They go by many names: King. Blackmouth. Tyee. Tule. Oncorhynchus tshawytscha. They can weigh over 100 pounds and measure 5 feet in length (though fish of 15 to 30 pounds are more common). 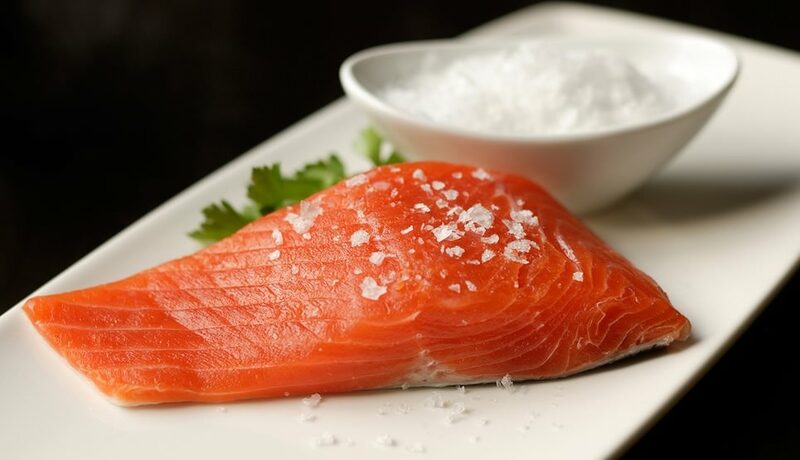 And they’re the largest of the five species of Pacific salmon. They are, of course, chinook salmon. 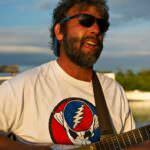 You’ll find them in most of Oregon’s rivers that have pathways to the Pacific Ocean, from the Chetco near the California border to the Grande Ronde in Oregon’s northeast corner. Anglers flock here for the chance to feel the chinook’s powerful pull, fueling local economies in the process. Others hike to their spawning grounds for a chance to see them complete their amazing life cycle. But how much do you really know about Oregon’s official state fish? Did you know chinook travel thousands of miles from their home rivers to their feeding grounds in the Pacific and back? Or that they’ve been an important food source for Oregon’s native peoples for as long as historical records have been kept? Let’s dive headfirst into the cool waters of Oregon’s rivers to meet this scaly, silvery, pinkish-green critter. It’s believed that chinook, as we know them today, began appearing in the rivers of the Pacific Northwest 7 to 10 million years ago. 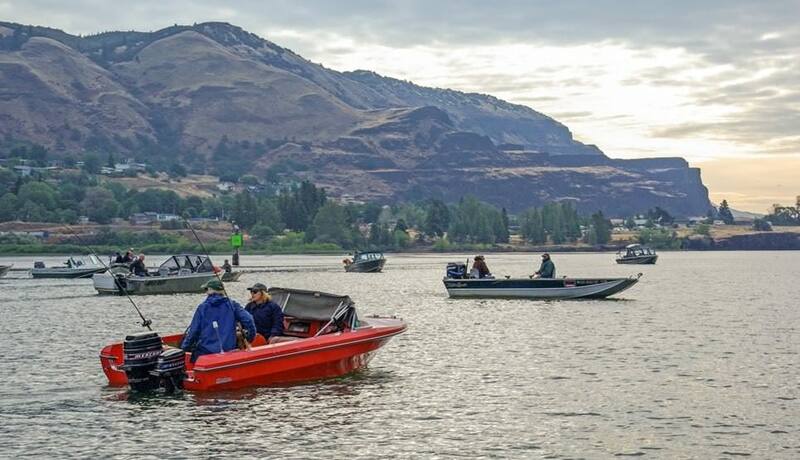 For at least 13,000 years, native tribes — including Wasco-Wishram, Yakama, Umatilla and Warm Springs — have been drawn to the Columbia River to harvest chinook. 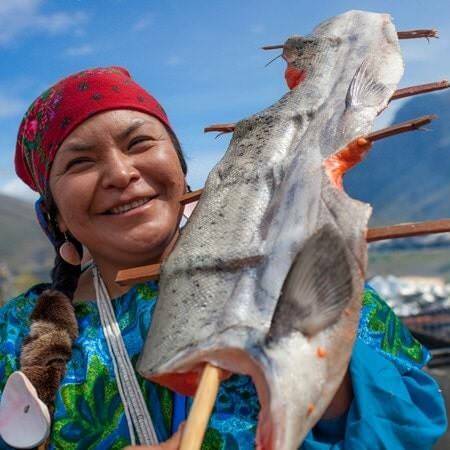 There’s little doubt that these people (and the many indigenous peoples along the Oregon Coast) were as awestruck at the chinook’s incredible life cycle as they were thankful for the life-sustaining flesh the salmon delivered from the sea. And their life cycle is incredible. Tiny salmon fry emerge from eggs three to five months after they are deposited by a female (and fertilized by a male) in a nest of rocks (called a redd) in their natal stream. The fish will spend the next 12 to 18 months in that stream, feeding on insects and crustaceans as they morph into parr (a small fish that begins to resemble a salmon) and then smolt (which might be mistaken for silvery trout). At this point, they depart the stream of their birth and head toward the Pacific, lingering in the estuaries (where the seagoing river meets the saltwater) to fatten up before heading north. Fish from different rivers — and in the case of the Columbia system, different sections of the river — go to somewhat different areas. Tracking data shows that Columbia fish feed in the waters off Southeast Alaska and British Columbia, 900 miles one way from the river’s mouth. Chinook will spend anywhere from one to eight years at sea (though three to four years is most common) feeding on smaller fish. Here they take on their striking coloration: blue-green back, silver flanks, augmented with small black spots on the lobes of their tails. 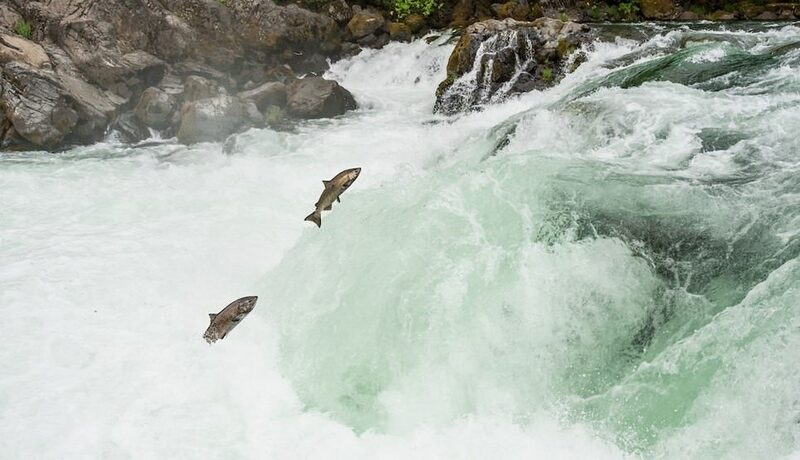 When the spawning instinct comes upon them, the salmon begin their long swim back to the stream where they were born. Scientists believe that magnetic detection, imprinted on the fish at birth, helps guide them back to the correct river (with a little help from their sense of smell). 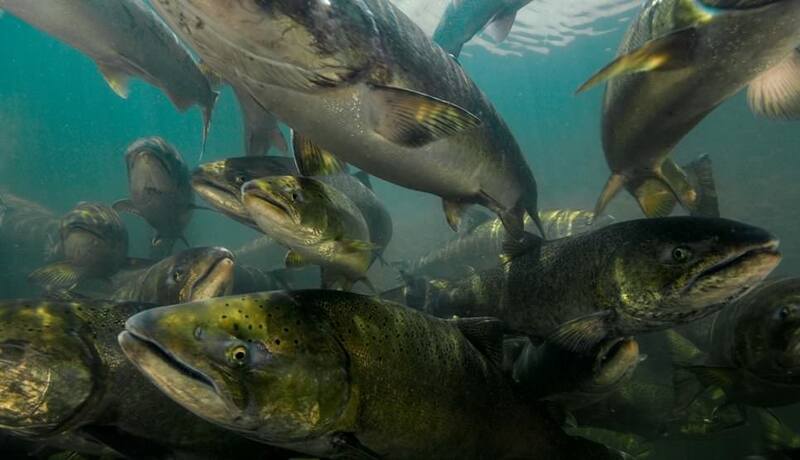 As they enter fresh water, chinook’s bodies change; blues and silvers give way to darker hues, sometimes bright red. Males develop canine-like teeth and a hook-like jaw, called a kype. 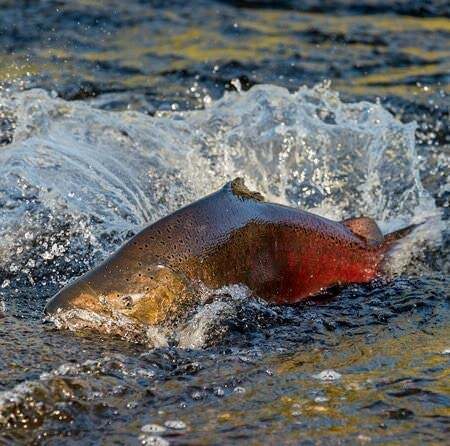 When the salmon reach their spawning ground, the female will dig a small indentation in the river’s gravel (the redd) with her tail and deposit her eggs. Males will compete to fertilize the eggs with their milt. Oregon’s rivers receive several different runs of chinook. Some waters see only a fall return, others only a spring. The Columbia sees chinook returning in the spring, summer and fall. There are a number of spots around Oregon where you can view spawning chinook, including the Sandy River in Oxbow Park in Gresham. 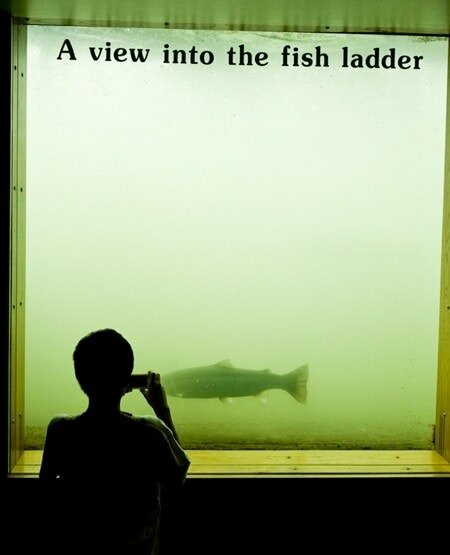 To see chinook en route to their natal streams, it’s hard to beat the viewing station at Bonneville Lock and Dam. 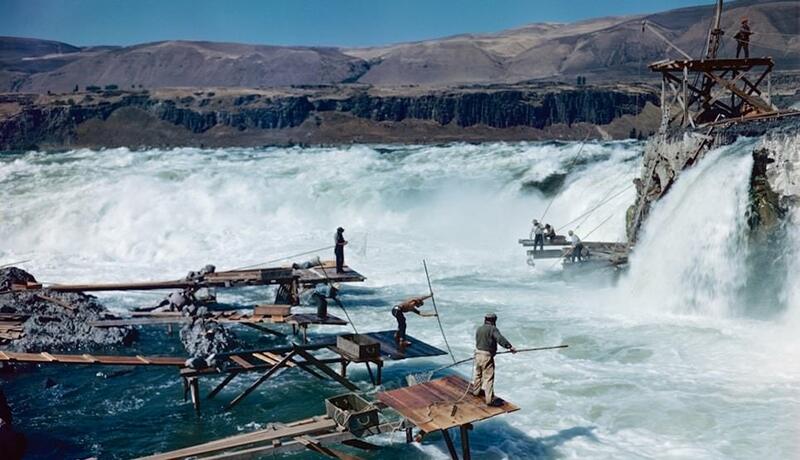 In the late 19th century, cannery records and tribal accounts suggest that 10 to 16 million salmon (a majority being chinook) returned to the Columbia River alone. Current Columbia runs are greatly diminished, with less than 2 million chinook returning in recent years. You can witness tribal members fishing for chinook with hoop nets at Cascade Locks on the Columbia and at Sherars Falls on the Deschutes, among other spots. 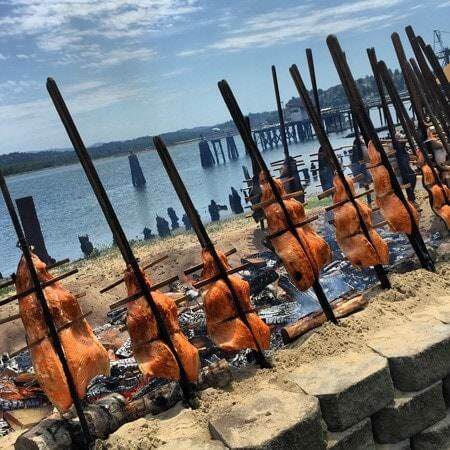 You can even partake of a traditional salmon feast at salmon bakes held in the chinook’s range, like the Mill-Luck Salmon Celebration hosted by the Coquille tribe and held in North Bend in late summer. Sport anglers travel to Oregon from far and wide for a chance to tussle with chinook. 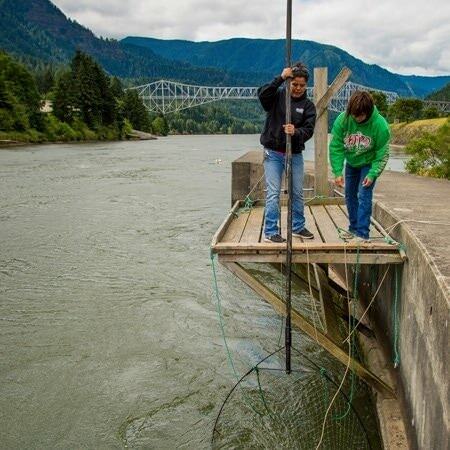 Fishers ply the Rogue, Umpqua, Wilson, Willamette, Columbia and countless smaller rivers and tributaries. In the fall of 2016, the Columbia saw days with around 230,000 anglers on the water and more than 57,000 chinook landed. (The Oregon state record chinook is 83 pounds, landed on the Umpqua by angler Ernie St. Clair in 1910.) The 2017 all-salmon season begins on June 24 around the state, though no fishing will be allowed this year in Gold Beach and Brookings to protect chinook. Find more information about fishing seasons and regulations here. If chinook are a thrill to fight on rod and reel, they may be even more revered as table fare. (But please don’t tell the fish how delicious they are — let them live in blissful ignorance!) Spring-run fish are especially prized by gourmands for their abundant fat reserves, which the fish need to make the long upstream voyage to their spawning grounds. 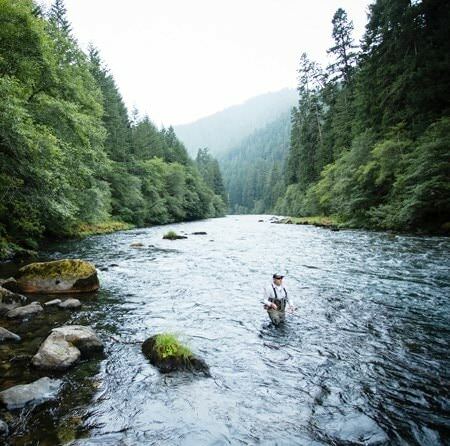 Chinook salmon are a key thread in Oregon’s ecological tapestry, a significant ingredient for human sustenance and a source of sporting pleasure. They are also inextricably tied to the Oregon psyche. “Most Pacific Northwest residents hold a strong belief in the intrinsic beauty of rivers and forests, and they foster a deep personal connection to pristine waterways and the silver, green and red forms of wild salmon swimming upstream,” says Guido Rahr, president and CEO of Portland-based Wild Salmon Center, an international organization dedicated to the conservation and sustainable use of wild salmon and their ecosystems across the Pacific Rim. “They are part of us and worth saving,” he says.